From tourist attractions (don’t be embarrassed to be a tourist!) 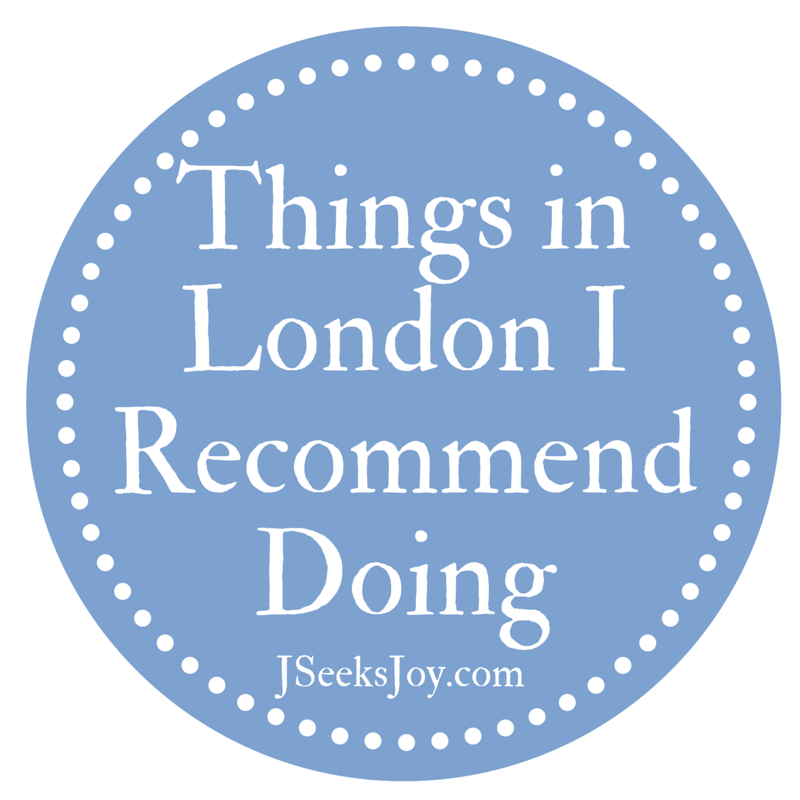 to great restaurants, parks, shopping and entertainment, London has it all! This is a pretty short list but a list of my absolute must-dos and favorites! Westminster Abbey. Do the tour inside, it’s so cool! Tube stop Westminster. A London Duck Tour. I never got to do this but I’ve done it in other cities and loved it. And you get to go on the Thames! Sweet. Tour Parliament. It’s such a freaking cool building and you get to go inside the rooms you always see on BBC. If you don’t do a tour, you can at least watch parliament in action which is more exciting than it sounds, since they tend to voice their opinions with grunts and cheers or boos. Tube stop Westminster. The London Eye. Definitely worth the cost. And for 30 minutes of views it’s nice to see London from above. Tube stop Waterloo or Embankment. Any of the museums London has to offer. I didn’t get to too many of them (since I’m not too big on museums and staring at inanimate objects) but there’s something for everyone and most of them are free. Seriously. Something for everyone. Abbey Road. Anticlimactic, but fun. There’s a live camera on the road 24/7, so tell your friends when you’re going and have them watch for you. This crosswalk is one of the few where cars have to stop for pedestrians. It’s lovely. Tube stop St. John’s Wood. Platform 9¾. You just. You have to. Okay. You don’t have to. BUT. I had to. Tube stop King’s Cross. The Tower of London. Three words: The Crown Jewels. Not to mention the history! Tube stop Tower Hill. London Zoo. This place is huge and full of animals, from small turtles to lions and gorillas. Tube stop Camden Town or Regent’s Park. Little Venice. A quiet little section of the city that has a little canal (Regent’s Canal) with gondolas and boats on the canal to the London Zoo. Tube stop Warwick Avenue. Russell Square Gardens. Quaint, and very cute. I found it on my way to the British Museum and fell in love; it’s a nice place to read, since there are tons of benches. There were dogs, people reading, people chatting and very nice little flower beds. Tube stop Russell Square. Hyde Park. Of course. Tube stop Marble Arch, Hyde Park Corner, Knightsbridge, Queensway, or Lancaster Gate. Green Park. This park is situated right next to Buckingham Palace. It has lots of walking paths. Not a bad place to take a break, since it’s about a 15 minute walk from Parliament. Kew Gardens. These gardens are a bit outside the city but wow are they gorgeous. It’s a huge place, and it’s a nice escape from the city, where you can be surrounded by nature. Tube stop Kew Gardens Station. Regent’s Park. Primrose Hill (located in Regent’s Park) has a neat view of the city, and Regent’s Park is over a good place to have a picnic and relax on a nice day. Tube stop Regent’s Park, Great Portland Street, Baker Street, St John’s Wood, or Camden Town. Portbello Market. So many things to see and buy! It’s a giant flea market and hipster magnet. There’s also amazing food here. You’ll have to visit more than once to cover the whole thing though. It runs full swing Friday-Sunday. Tube stop Ladbroke Grove or Notting Hill Gate. PRIMARK. Primark is like a larger version of Forever 21. A much larger version. It’s amazing. They have very cute, trendy, cheap clothes, shoes and accessories for men women and children. Seriously, go right now. Tube Stop Kilburn High Road, Hammersmith, or Marble Arch*. *Beware of the Marble Arch/Oxford street location on weekends. It’s highly overwhelming and there are crazy long lines! Oxford Street Shopping. There are tons of shops and restaurants here. Tons! Tube stop Bond Street, Oxford Circus, or Marble Arch. High Street Kensington. Great shopping here as well. Tube stop High Street Kensington. Westfield Mall. This mall is HUGE. They have a ton of shops and it’s easy to get overwhelmed with all of the choices. Tube stop Wood Lane, Shepherd’s Bush, White City, or Shepherd’s Bush Market. Covent Garden. This is another good lively shopping area. Tube stop Covent Garden. Ben’s Cookies. You will fall in love. Dear god these cookies are to die for. They have seven locations in London. Snog. Good fro yo, although it’s tart yogurt, so keep that in mind. But dude, they pile on the toppings and it is delicious. They have 6 London Locations. GBK. Or, Gourmet Burger Kitchen. They have the most amazing burgers. I still get cravings 2 years later. They’re a tad on the expensive side but if you’re really jones-ing for a good burger GBK is the place to go. They’re all over London, and the UK, so finding one near you should be easy. Go to a show! I can’t recommend a show in particular since the times are always a changin’, but DEFINITELY try to see a show. More than one if you can swing it. Whether it’s a musical or a play, it will knock your socks off. I took a play class and fell in love with so many new shows I thought sounded ‘stupid’ at first. Keep an open mind, and a lot of places sell discounted tickets, or student tickets, or standing room tickets. The National Theatre is always a good time, by the way. As is The Globe. Even if you don’t care for Shakespeare, the acting is superb.